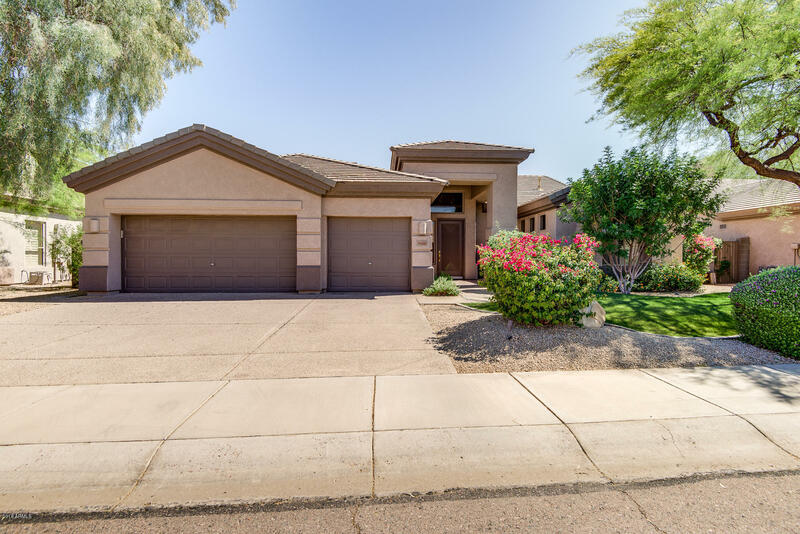 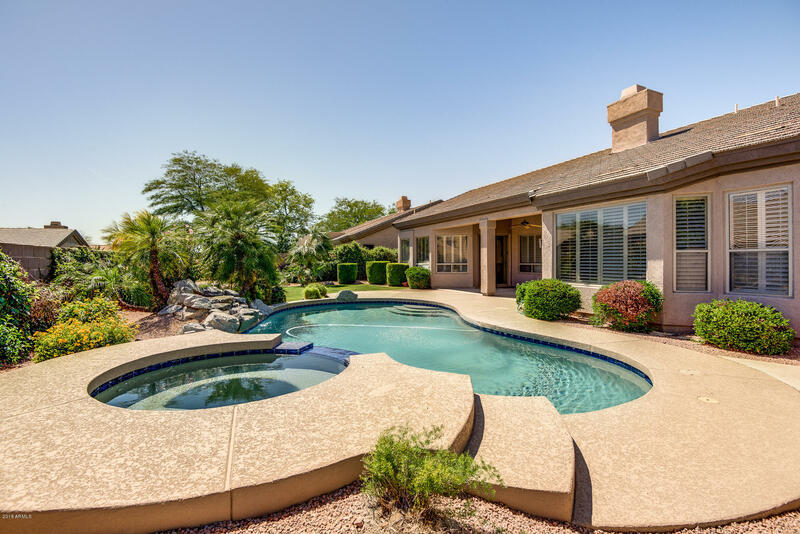 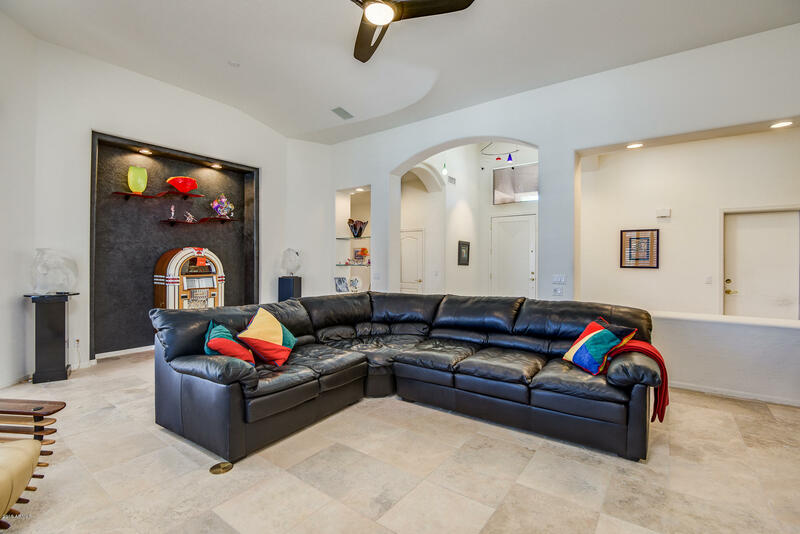 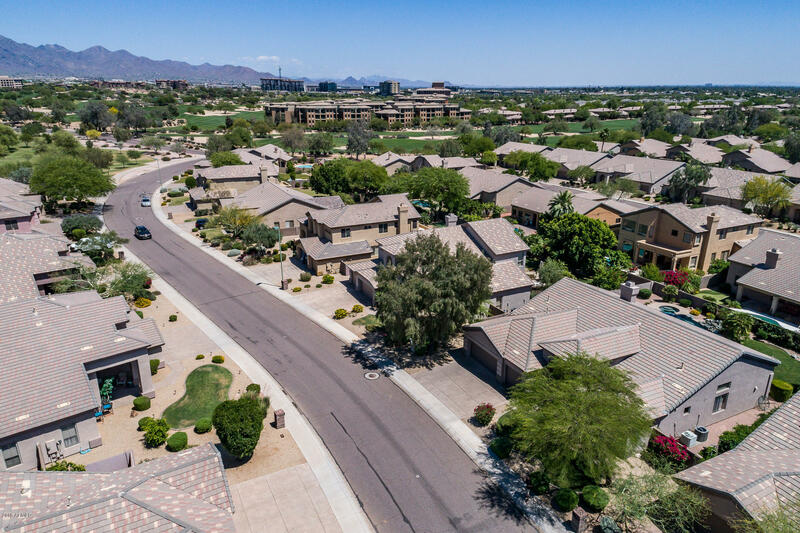 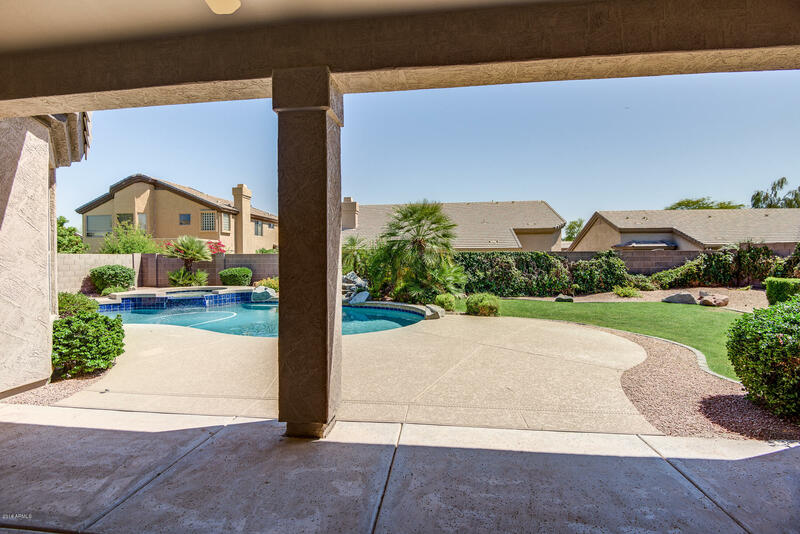 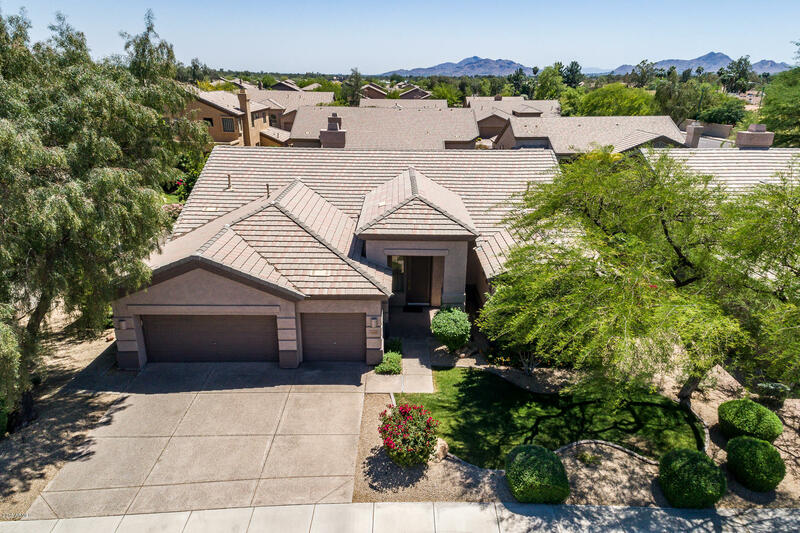 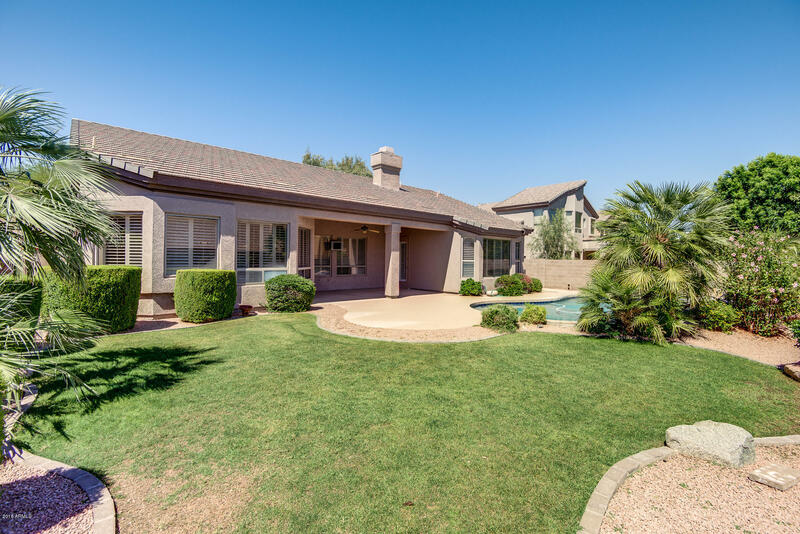 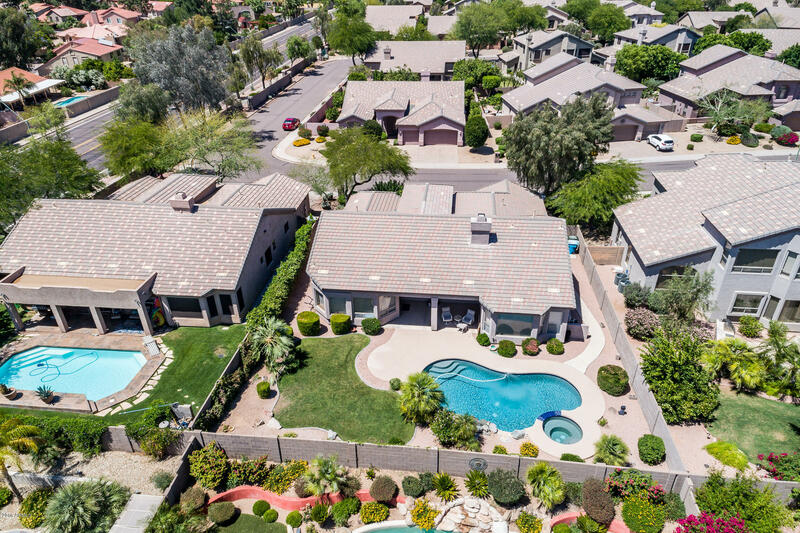 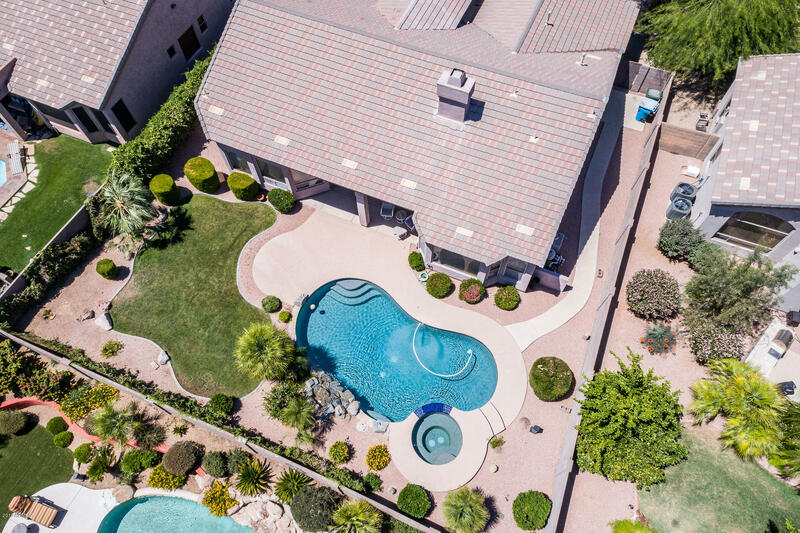 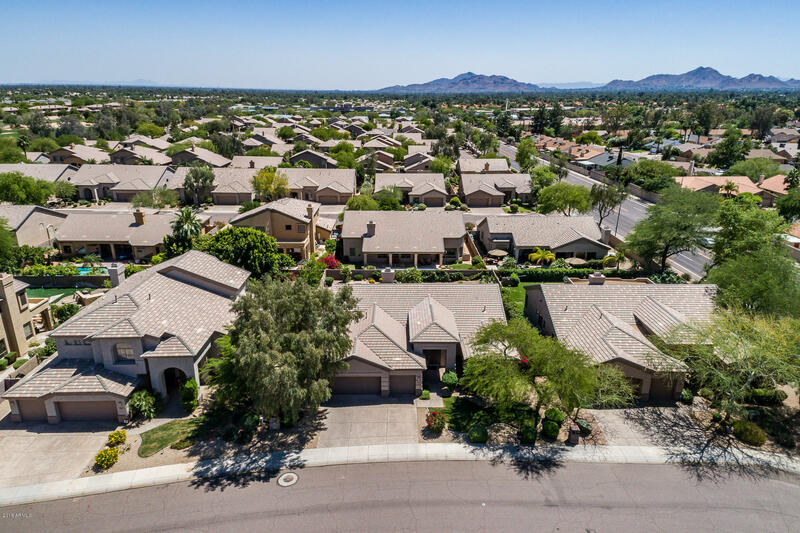 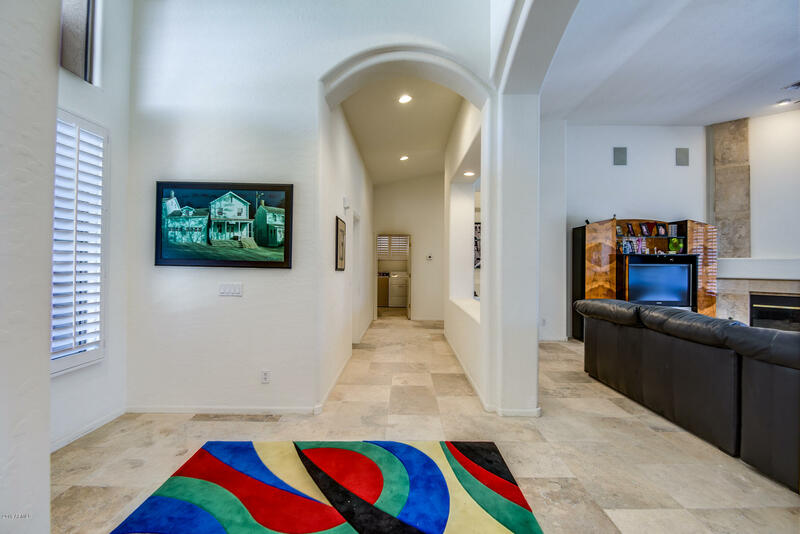 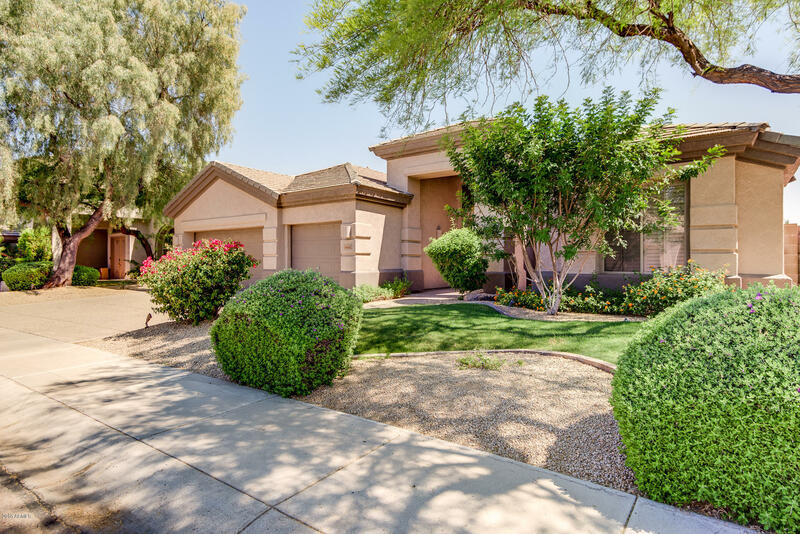 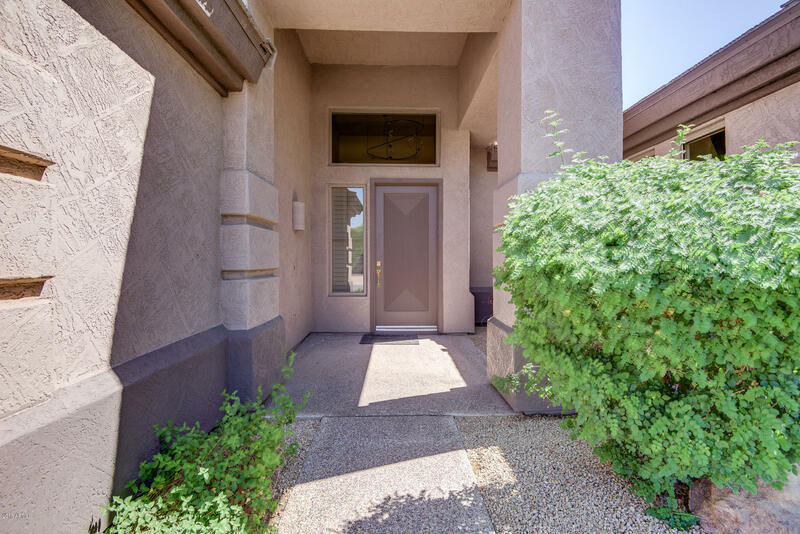 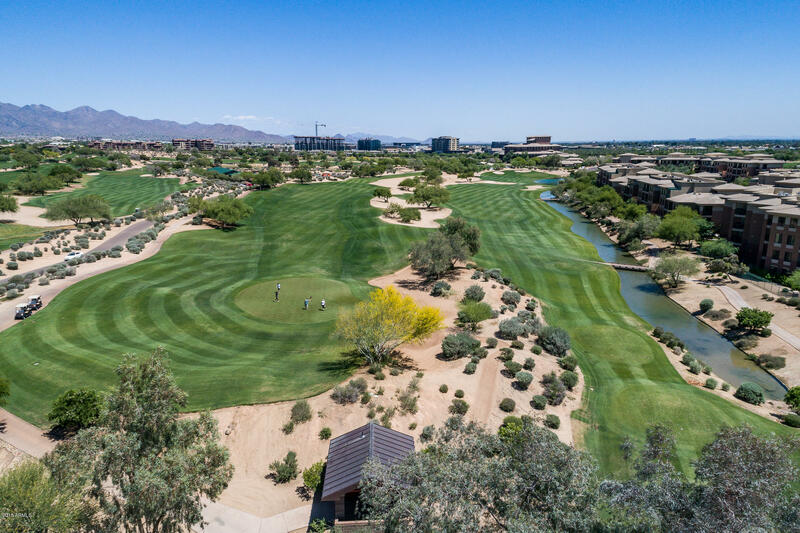 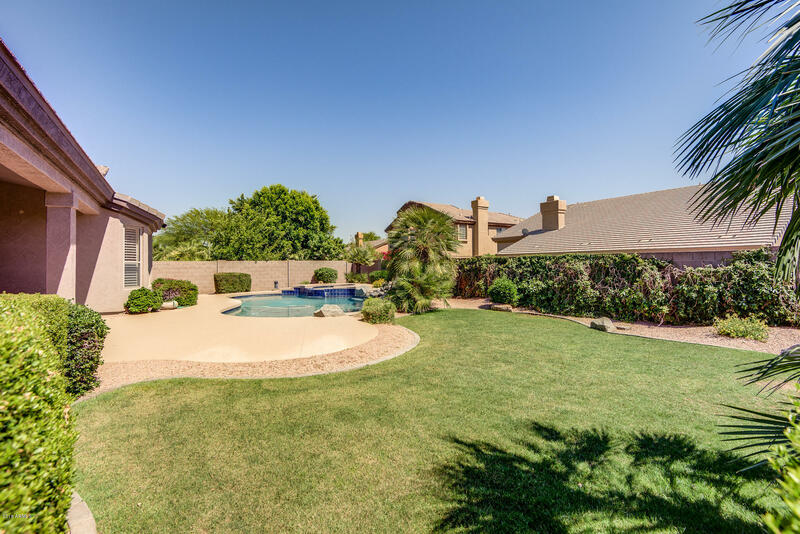 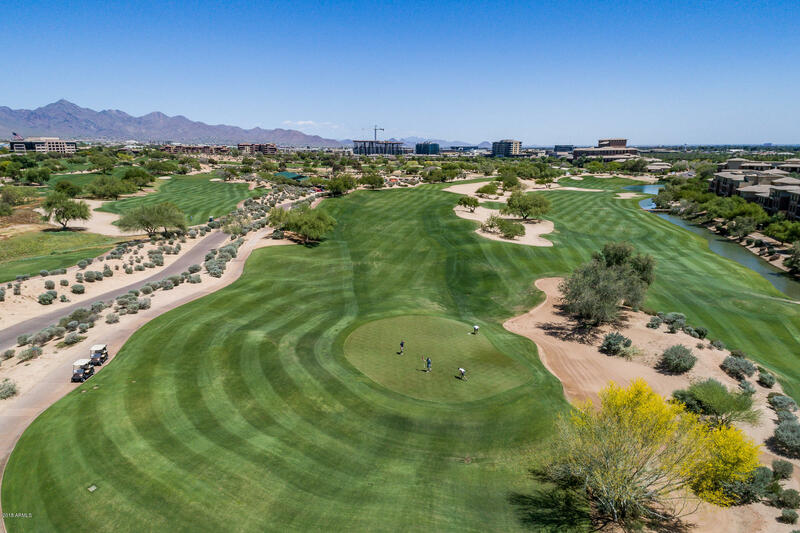 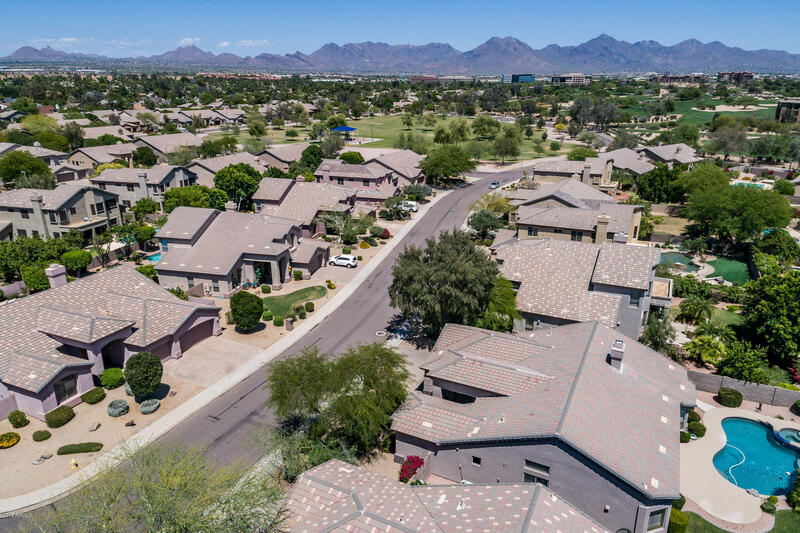 Exclusive Never Before on the Market - Executive Kierland Home. 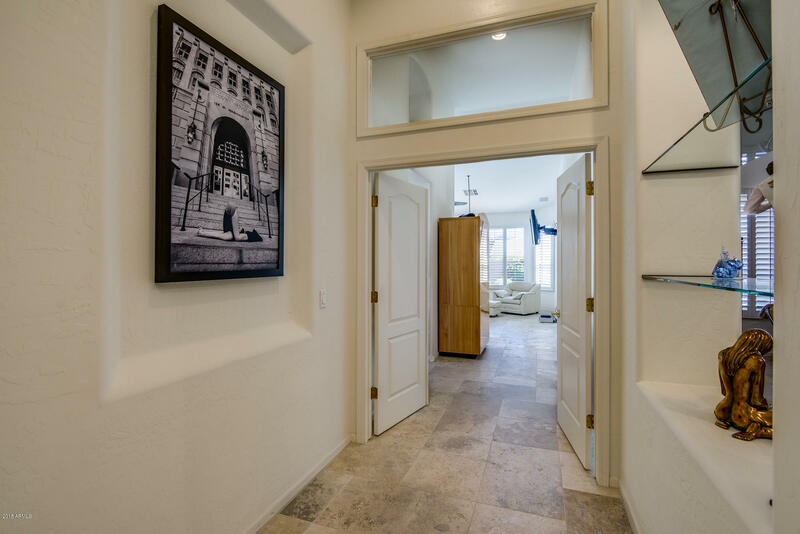 Through the front door you are greeted by soaring vaulted ceilings and custom glass shelves and niches, a floor to ceiling fireplace adds cozy elegance to this grand great room! 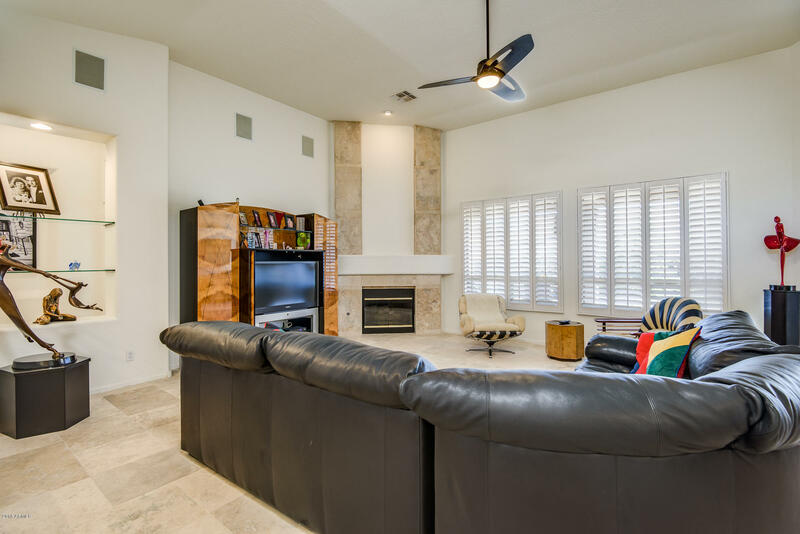 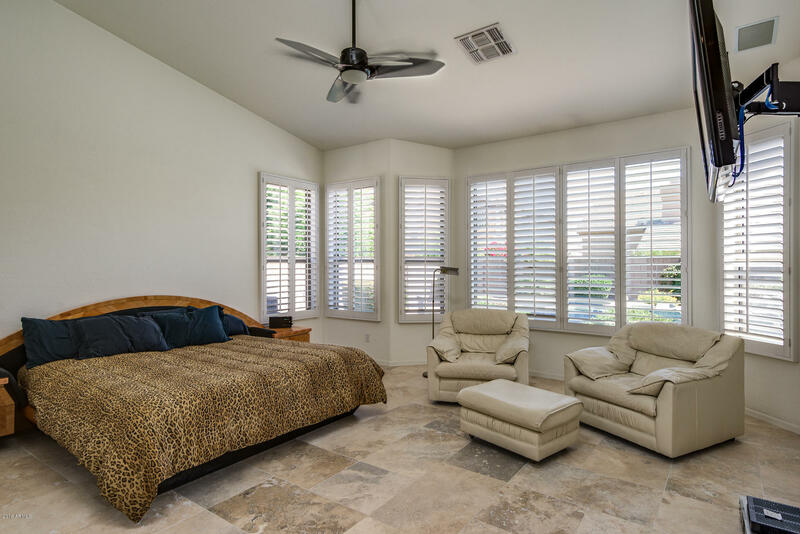 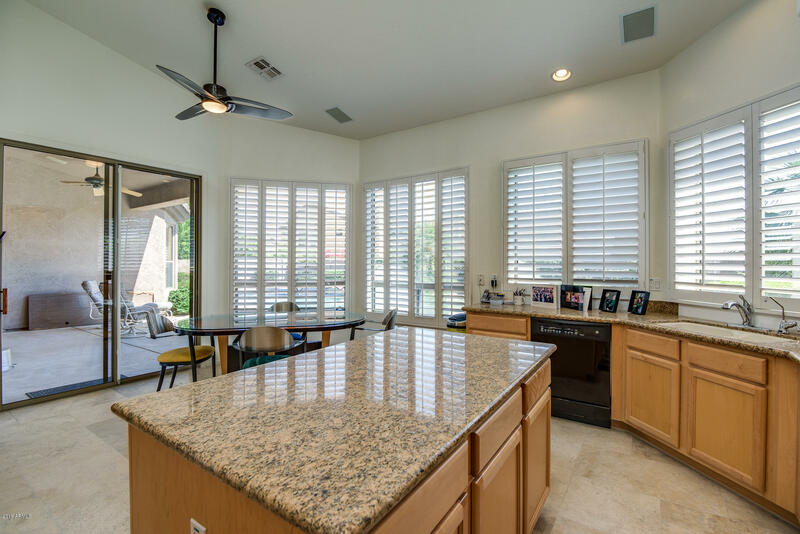 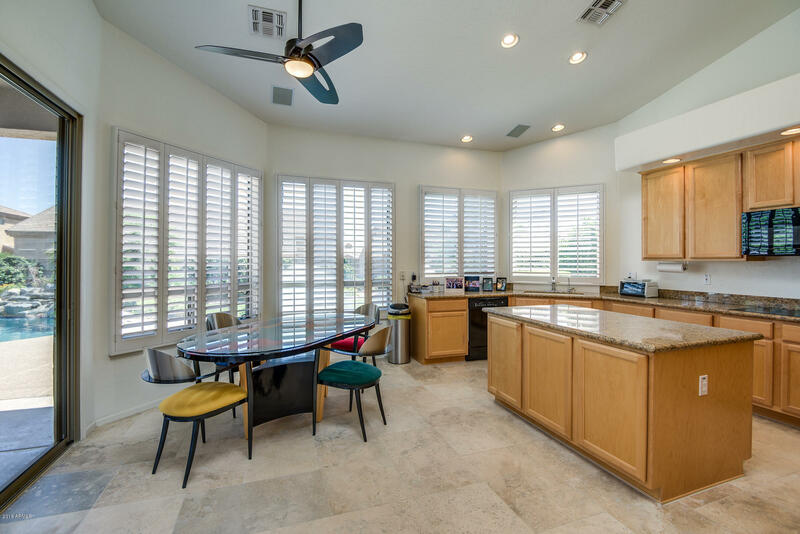 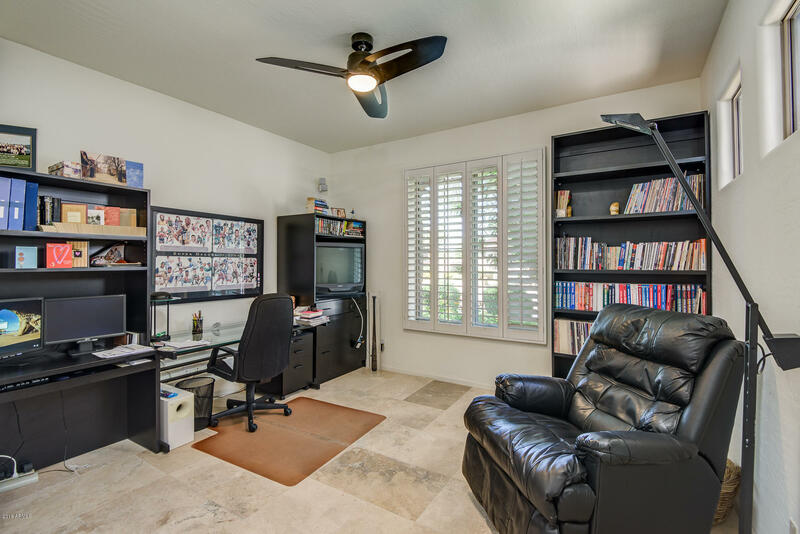 You will find staggered travertine, new interior paint, custom shutters and a speaker system throughout the 3 bedroom 2 bath home. 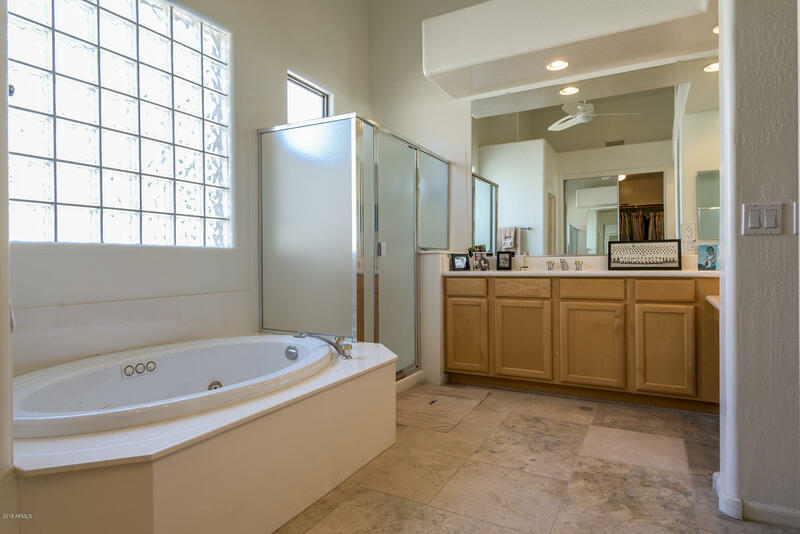 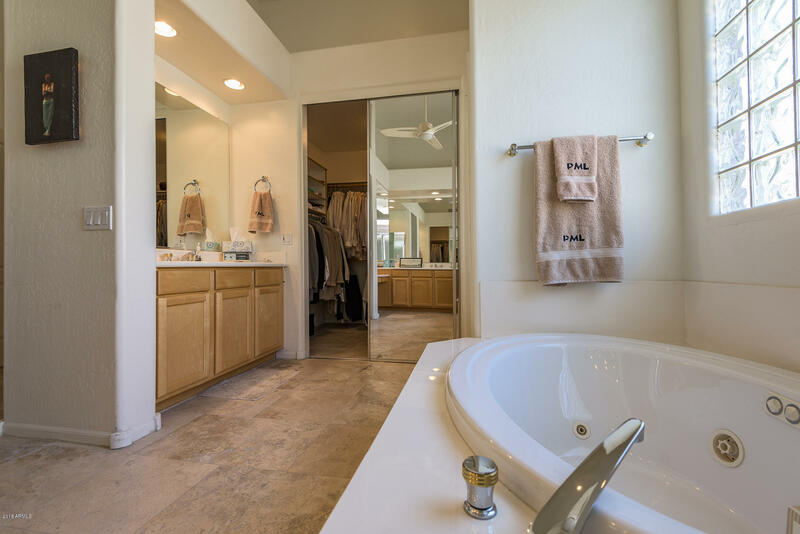 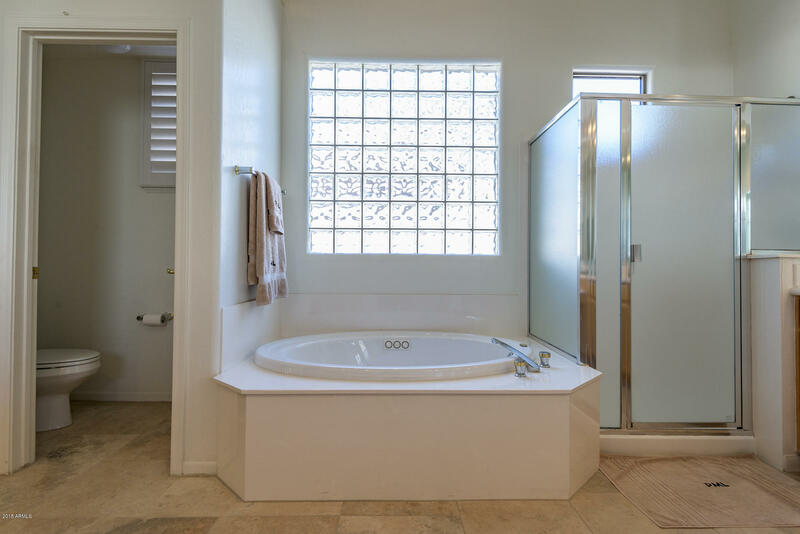 The spacious master retreat has a large walk in closet, jetted tub, stand up shower and dual vanities all in an abundance of natural light. 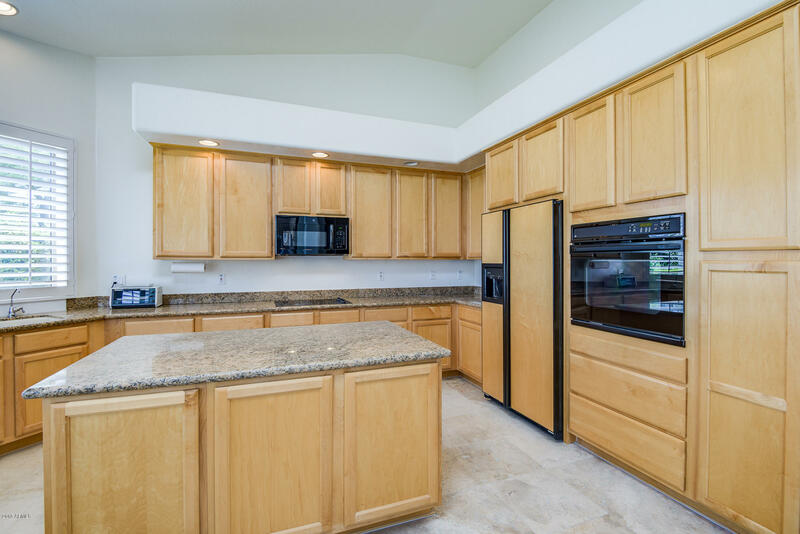 The gourmet kitchen features granite and tons of cabinet storage. 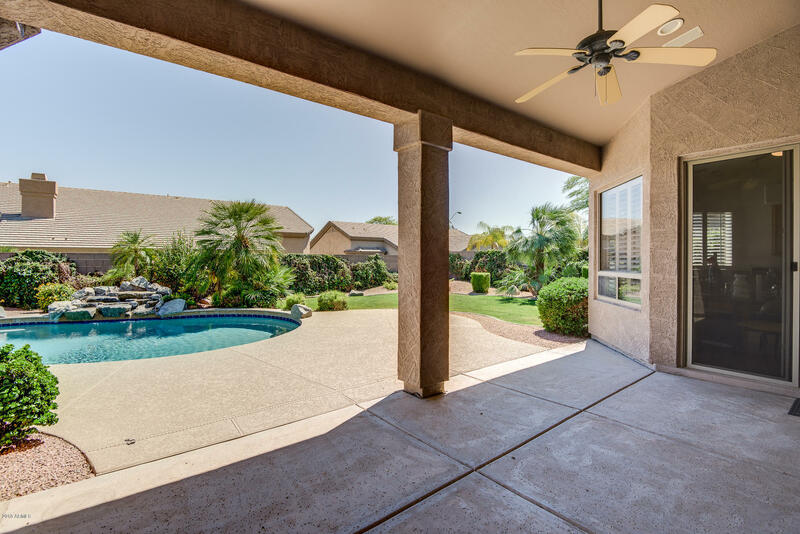 Outside you will find a covered patio overlooking your heated pool and spa! 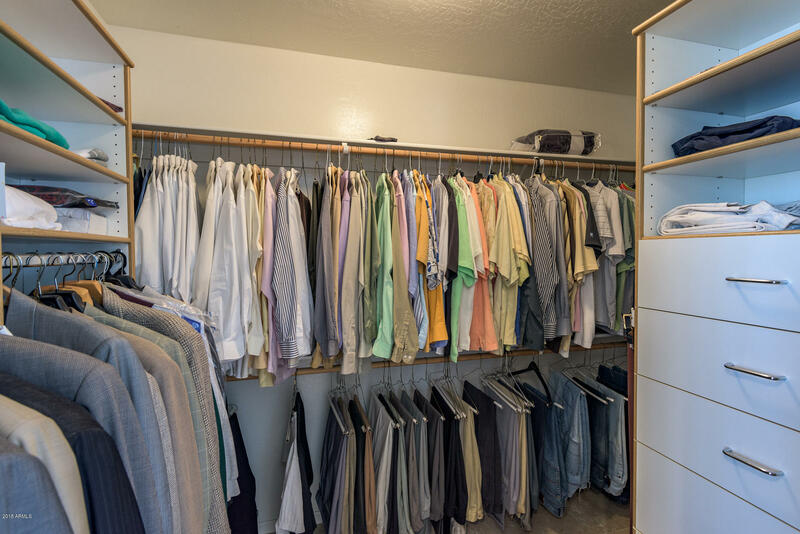 The three car garage has cabinets and room for storage! 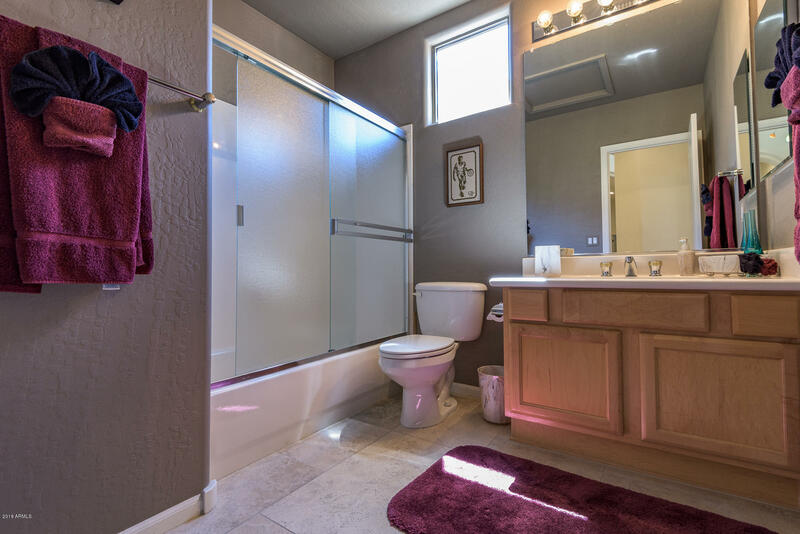 This home is one of kind, clean and well maintained by the original owner!